Last year, Dr. Ivory Toldson wrote an article for The Root, dispelling the notion that higher numbers of Black males were in jail instead of in college. But, it took over a decade for his factual information to overshadow the myth that there are more Black males in jail than in college. It was the lie that just wouldn’t quit. Why did we believe it? In the 2007 book Made to Stick, brothers Chip and Dan Heath assert that some messages stick better than others because they appear more concrete, concise and credible. When then-Senator Barack Obama asserts in a speech in 2007 during an NAACP event that “We have more work to do when more young black men languish in prison than attend colleges and universities across America,”—folks believe it because they trust the source. Also, the message is concise and straight to the point. Even if the point is faulty. Finally, the message is concrete. It gives you a goal to strive for. More Black men in jail, less in college. Jail is bad, college is good. Let’s create more opportunities for Black men to make it to college. The disproportionate number of Blacks in jail then becomes irrelevant. Facts like how the prison industrial complex is one of the fastest-growing industries in the United States become forgettable. But, it’s time to wake-up and embrace the truth. The truth is that the number of Black men in college in 2011 was over one million when compared to the less than 900,000 in jail. With that truth, however, is the grim reality that, while Black men are attending college in higher numbers than those becoming imprisoned within the prison-industrial complex, a break-down is occurring when it comes to Black men moving from becoming college attendees to becoming college graduates. So, alas, another myth exists—the myth that Black male success automatically equals a college education. 1. 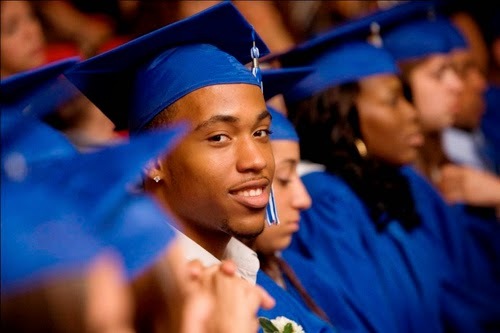 The majority of Black male college students attend a for-profit college or university. Dr. Toldson’s research indicates that the University of Phoenix, a for-profit institution, reported that 21,802 Black males were enrolled in 2011, making it the nation’s top enroller of black male students that year and since. For-profit colleges and universities, when compared to public and private institutions of higher learning, spend less than 18 percent of their budgets on teaching faculty and educational support necessary to help students academically succeed. 2. Most Black men are not graduating college within six years or at all. Black males are getting to college. But, many are not graduating. The majority of Black men who attend college are not graduating. Dr. Toldson asserts that if the more than one million Black males who are enrolled in college graduate, they would increase the number of Black males with college degrees by more than 70 percent. 3. 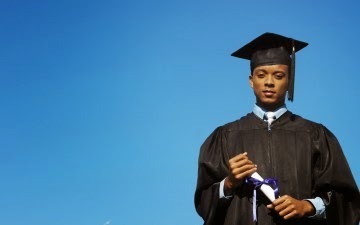 Black males who don’t graduate, experience financial struggle with college loan debt. Without a degree, the challenge to find substantial work increases, particularly if unpaid school loans increase the financial burden. According to articles like this one in Salon.com, the colleges the majority of Black males attend are burying them in a lifetime of debt while not successfully graduating them. It’s necessary to stress the difference in attending college and graduating from college. It is likely, therefore, that we assume more Black males are in prison when we know that they are not earning their degrees at equal pace with Black women. But, we can address the challenges Black men encounter with college without resorting to deceptive myths that do nothing but continue to pathologize Black male achievement. 1. Support pre-college knowledge building while in high school. Ensure that college prep activities for Black boys (and girls) while in high school aren’t merely focused on academic rigor, but inclusive of encouraging skill-building in communication and resource-seeking. Studies show that student success in college is dependent on a student’s ability to communicate with their professors, seek and use appropriate student support services and understand their individual program requirements. 2. Before enrolling in an institute of higher education, get educated on school’s retention and graduation data. Every school has an office that gathers data and offers programming to support graduation and retaining students from dropping out. A school’s record on retention speaks loudly about what services and supports are offered to ensure students are not failing or dropping out before graduation. Your decision to attend a school should be impacted by the school’s commitment to graduating you. 3. Make sure college is necessary. 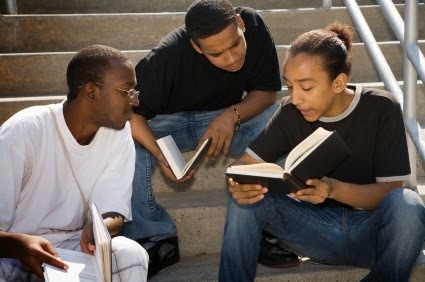 The Journal of Blacks in Higher Education reports that Black males with a bachelor’s degree make less than 80 percent of the median income of White males with the same level of education. Falando Thomas, a Maryland-based visual artist who attended the for-profit Art Institute of Washington briefly before leaving refers to for-profit higher education schools as “McSchools” and says it is important to understand the norms of your field before assuming college—any college—is necessary to be successful. He left the Art Institute after securing a job as a graphic artist for a company that was more impressed with his expertise and work portfolio than whether he had a degree in the field. In short, unpacking the myth of “more black men in prison than college” should not suggest that college is necessarily in one’s best interest. Sometimes the outcomes of the prison-industrial complex and the for-profit education-industrial-complex bear results strikingly similar. But, there are definite ways to challenge the myths and stay encouraged that Black males have as great a chance as anyone to find their own personal successes when they understand the challenges and equip themselves the best way possible to navigate through. Khadijah Z. Ali-Coleman is a Communication Studies professor and home-schooling parent. She can be found on Twitter at @SOYAOnline.